1st Christmas Ornament from Susabella - GIveaway! Happy Monday! Did you have a nice weekend? We hope so! We’re kicking off this brand new week of wedding inspiration with a giveaway! 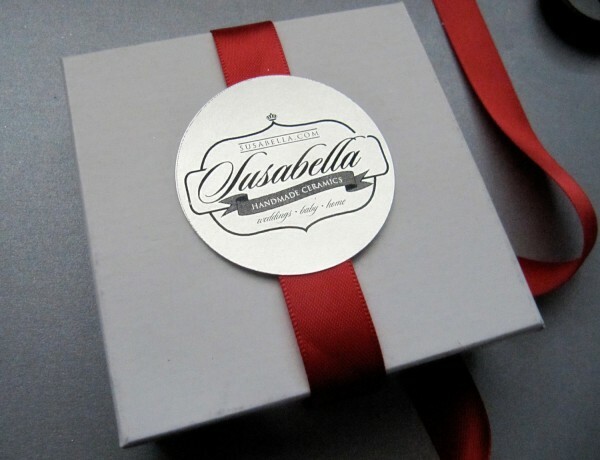 We’ve teamed up with Susabella to offer a Merry 1st Christmas ornament to one lucky reader. 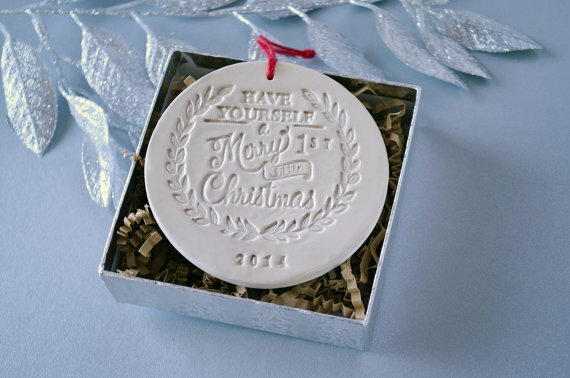 This ornament is perfect for the newlyweds as they celebrate their first Christmas as a married couple. Enter below! This lovely ornament would make a beautiful gift! Perfect for a newlywed or a family member or friend who just had a baby. The ornament is handcrafted, fired, glazed and then fired again. 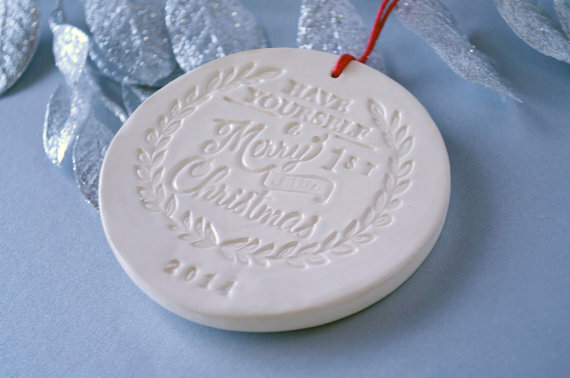 The ornament reads: ‘Have Yourself a Merry Little 1st Christmas 2014.’ The ornament is approximately 3.5 inches in diameter. It even comes in this sweet little gift box. I love this! I spent way too much time on the etsy shop, so in love with everything! My favorite is the “Thank you for raising the man of my dreams” coffee mug. It would be perfect for my future MIL. this ornament is way to cute!